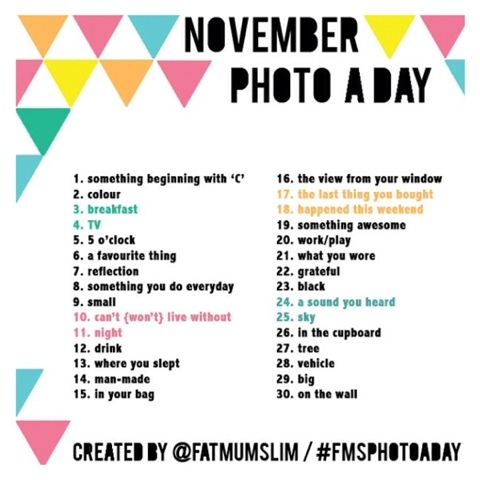 Fatmumslim posted the instagram photoaday challenge list for November today! If you haven't done it before definitely give it a shot. It's a lot of fun!